Another figure has been announced to get a September release date. This is the S.I.C. 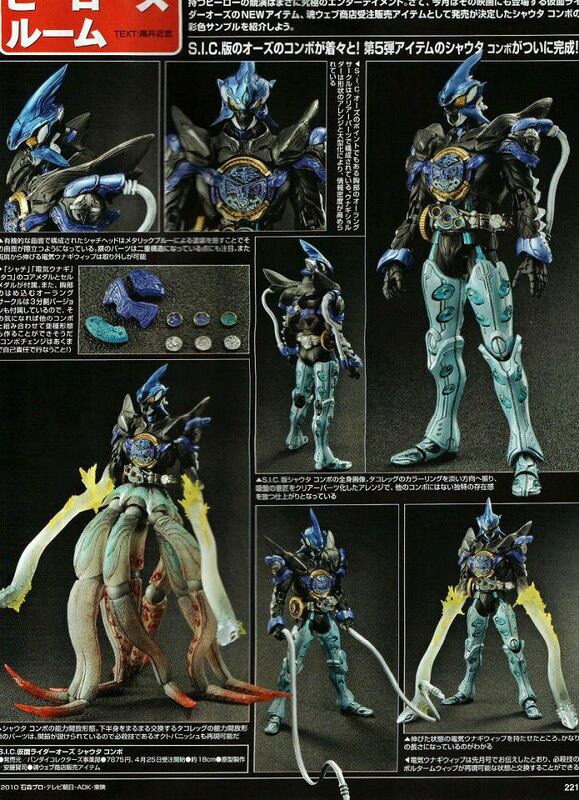 Kamen Rider OOO Shauta Combo as revealed on this month's hobby magazines. This represents Kamen Rider OOO's 6th combo using the powers of Mezool's Core Medals. 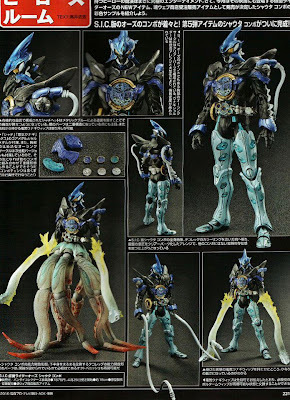 The figure stands about 190mm and will be inclusive of the Shachi, Unagi & Tako Core and Cell medals and effect parts for his Octo Legs and Unagi Whips. First seen during the Tamashii Nations 2012 event, the S.I.C. Kamen Rider OOO Shauta Combo will be retailing for 7,875 yen.